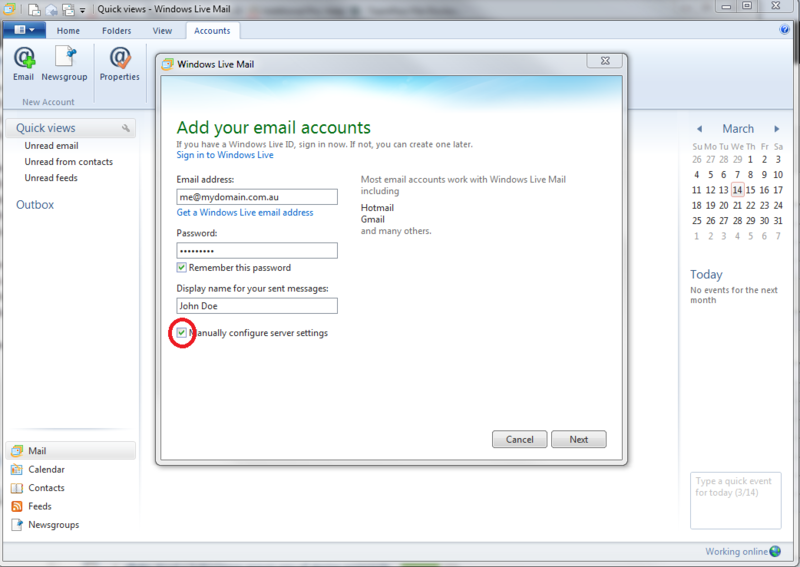 Note: Some versions of Windows Live Mail (latest) don’t offer the “Test Account Settings” feature, so this has been omitted from the guide. 2. 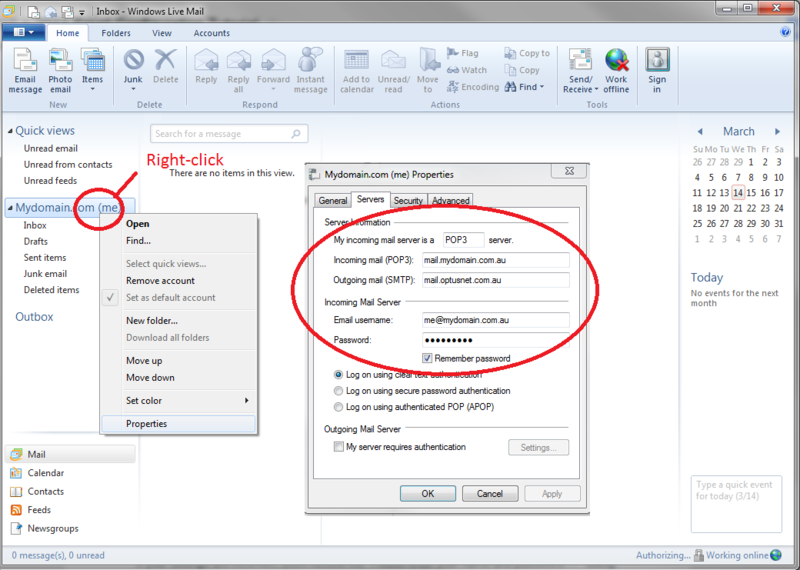 In the Add your email accounts dialog, enter your email settings and click the “Manually configure server settings” checkbox. 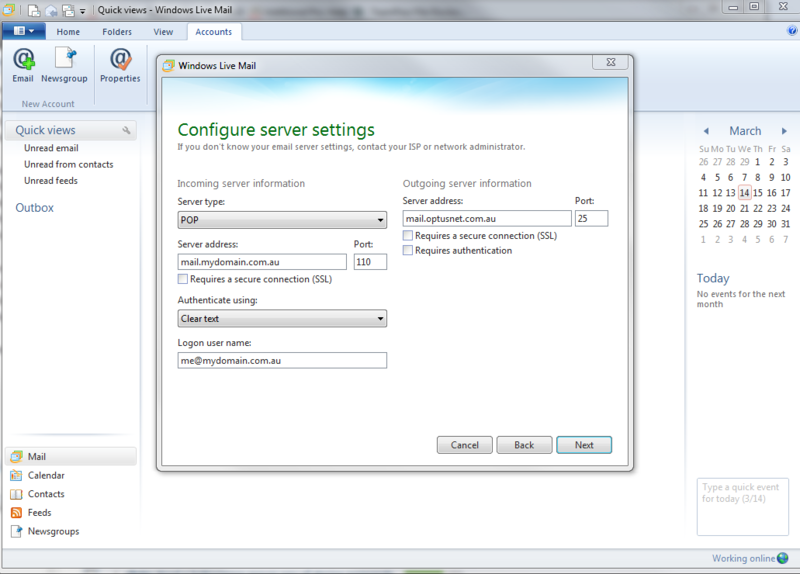 Outgoing mail server: Your Internet Service Provider’s (ISP) outgoing mail server (eg. 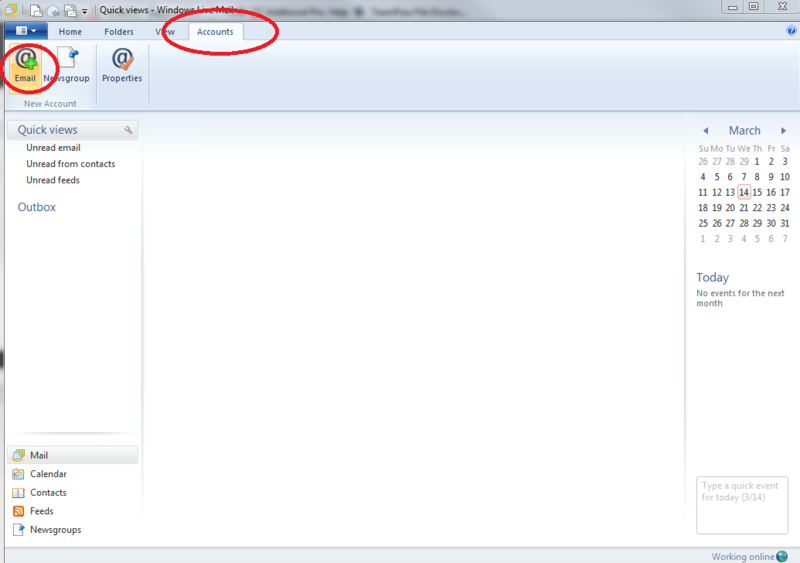 This completes the setup of your email in Microsoft Outlook 2011. 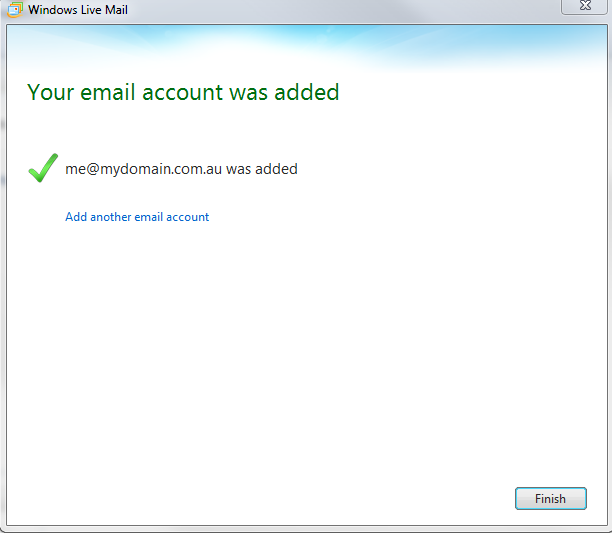 If you receive the Please enter your name and password … dialog indicating the incoming mail settings are incorrect.